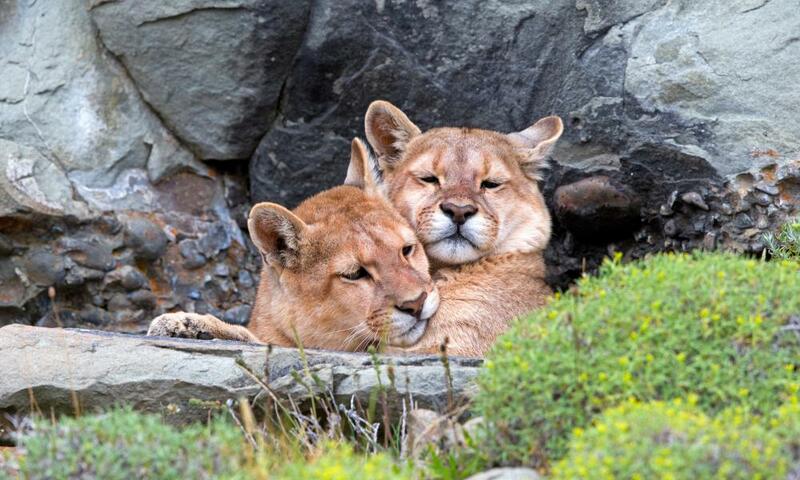 As dusk fell, there on the skyline, at the top of a cliff nearly 100ft above us, was a female puma. Calm and elegant, she looked down on us as if she was choosing the next course of her evening meal. She was joined by her two cubs. A group of us looked up as the mother groomed one of them and the cub returned the compliment, affectionately licking its mother’s face before, 15 minutes later, they vanished into the night. Our Chilean guide, Alfredo, had told us on the first day of our walk that he had only seen five pumas in three years and so our chances of seeing one in a week were incredibly slim. It was an unexpected bonus on a trip I’d been planning for months – now easier to travel to since British Airways introduced the only direct flight between London and Santiago in Chile at the start of the year. With a flight time of 14 hours and 40 minutes, it’s also BA’s lengthiest route. I had planned this adventure as the walk of a lifetime: a week-long trip to Patagonia – regarded by many as the eighth wonder of the world – in order to hike the region’s famous W Trek. The attraction was simple: to tackle one of the toughest, most remote walks in one of the most beautiful places on earth; a vast wilderness of mountains, glaciers, lakes and rivers that spread across Chile and Argentina. My visit was timely – 40 years ago this year Bruce Chatwin’s In Patagonia was first published, full of intriguing tales including Butch Cassidy and the Sundance Kid who fled the US in search of an honest life as cattle ranchers, but were eventually drawn back to a life of crime. 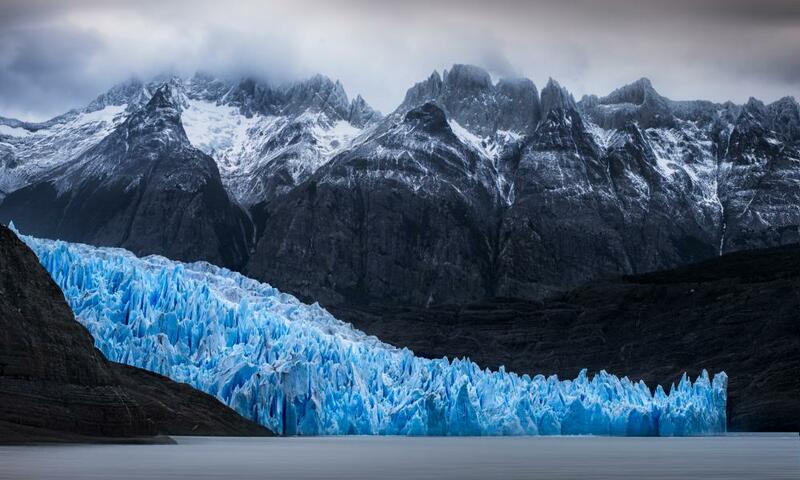 They say Patagonia is the only place on earth where you can experience all four seasons in a single day. As if to prove the point, at 5am on our first full day, “winter” descended. Heavy rain pounded our sparsely furnished dome at Eco Camp and the wind howled. But as we walked to breakfast around 8am, there was barely a cloud in the sky and the wind was no more than a gentle breeze. Four hours later, on the first morning of our walk, we stopped for water from a mountain stream above Lake Nordenskjöld. By now most of us were in T-shirts and applying sun cream. It was around then that we spotted our first condor, one of the world’s largest birds with a wingspan of up to 10ft. Less than three hours later, the wind howled and we were clinging to trees to prevent ourselves from being blown over. 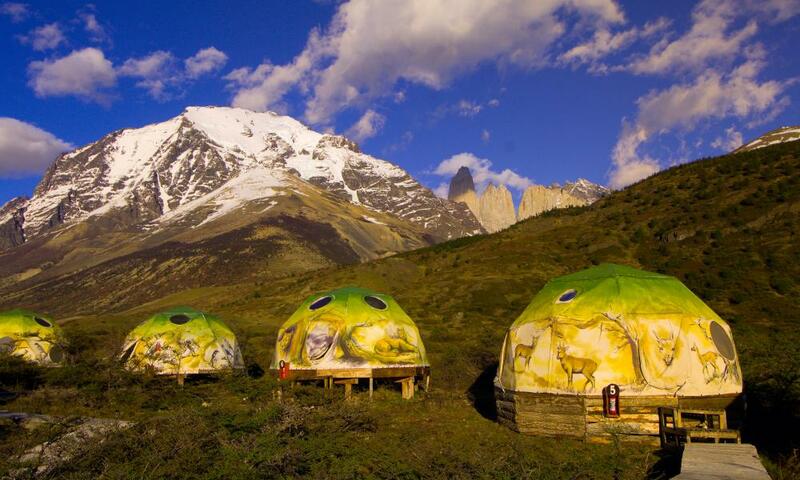 Our base was Eco Camp, in the heart of the Torres del Paine national park, where the ecologically friendly domes vary from the basic to the luxurious depending on your budget. In the communal domes, where you eat and drink, there was a real sense of camaraderie and anticipation at what lay ahead each day. In reality, day two was not for the faint-hearted. We were out for 10 hours, covering nearly 20 miles of spectacular scenery from turquoise lakes that get their colour from minerals in the melting glaciers to snow-capped granite mountains as we climbed up the French Valley. We arrived at our second refugio, Paine Grande, exhilarated but exhausted. Nicaraguan brothers Saul and Israel, both in their late 30s, were fiercely competitive over who had the worst blisters on their feet. “My feet are beyond hope,” Saul moaned as he picked at the blotchy skin on his big toe. My advice to anyone walking in Patagonia is to visit in late November and early December, avoiding the peak holiday season of January and February. It’s also Patagonian spring when you can see wild orchids bloom and torrent ducks tending their new offspring. It took us five days to complete the full W Trek – it gets its name from the shape of the walk – including an eight-hour day walking to the base of Torres del Paine’s three famous granite towers. In between more challenging days – on two of which we hiked a total of nearly 40 miles – there were easier times too, including a stunning half day visiting Grey Glacier by boat. Compressed electrifying blue ice, the glacier is 6km wide and over 30m high.